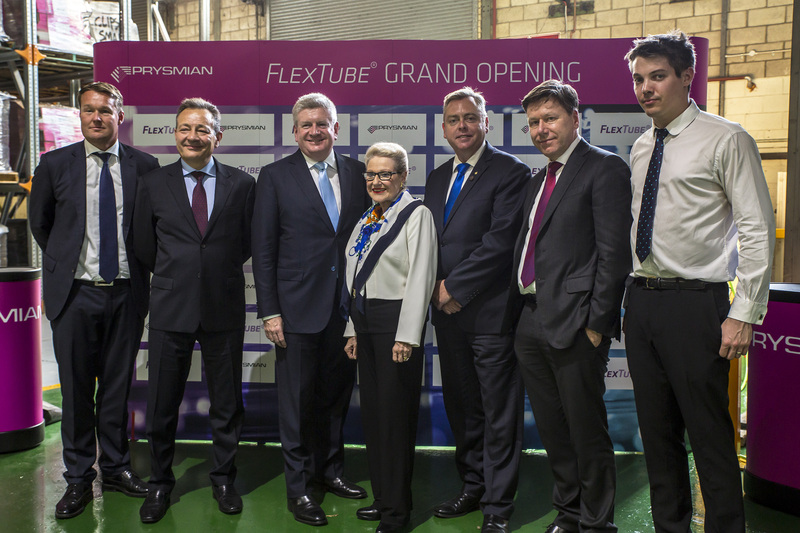 April the 6th marked the launch of the first FlexTube manufacturing-capable line in the Asia Pacific region. 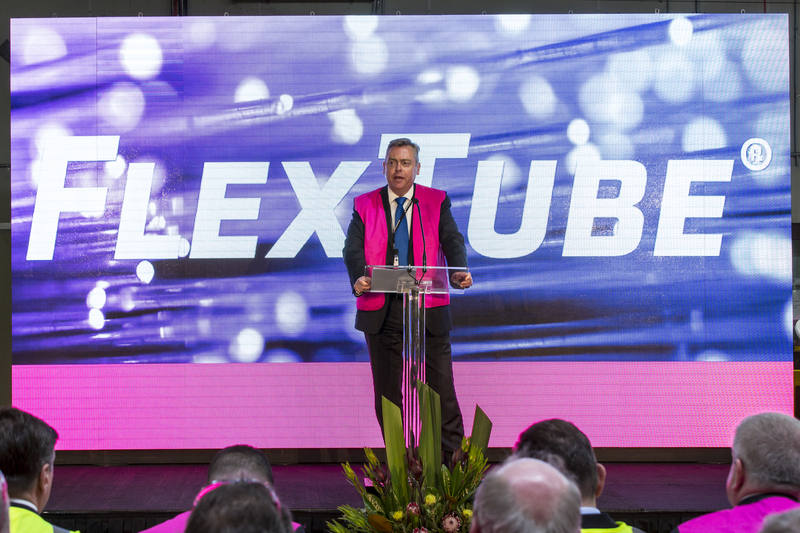 The Prysmian designed FlexTube cable will be produced in Australia for the first time at the company’s world class telecom cables manufacturing facility on Sydney’s Northern Beaches at Dee Why. 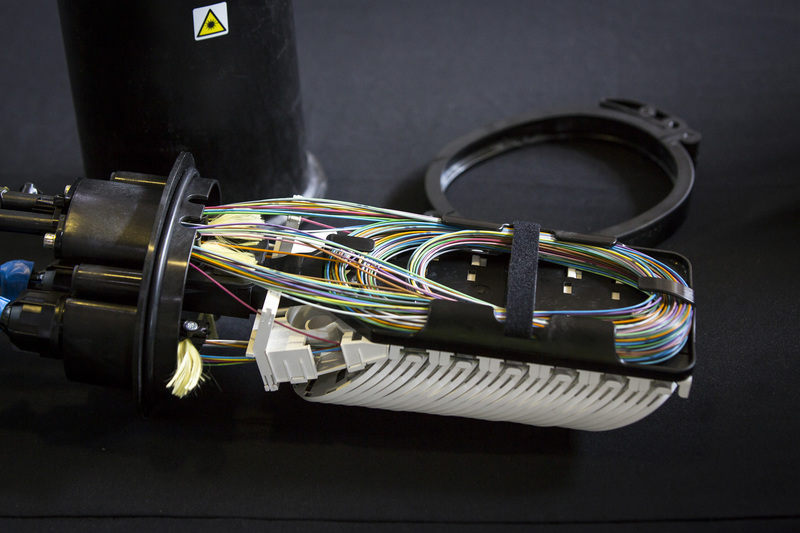 The Dee Why site has the capacity to produce more the 600,000 fibre kilometres of cabling each year – which is almost a third of the entire standard optical fibre market in Australia. The launch was attended by representatives from 30 companies from both the Telecommunications and the Energy sectors. 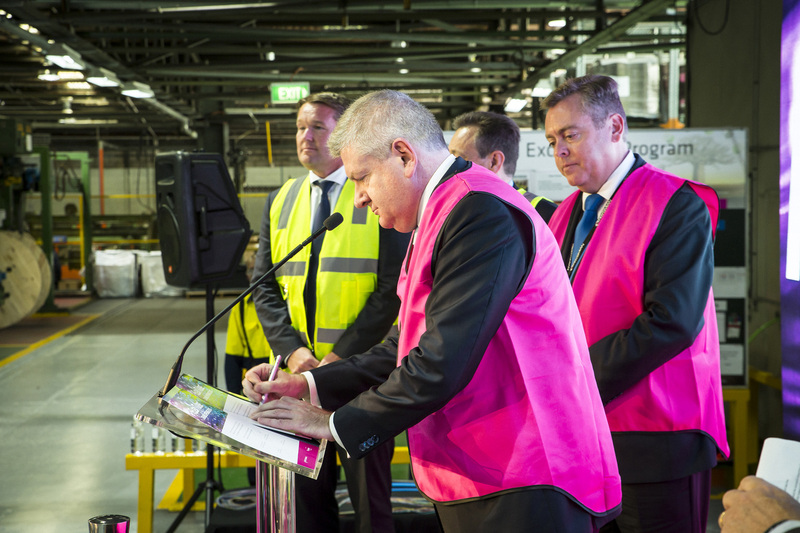 Prysmian ANZ was also honoured to welcome Senator the Hon Mitch Fifield, Minister for Communications, Minister for Arts; the Hon. 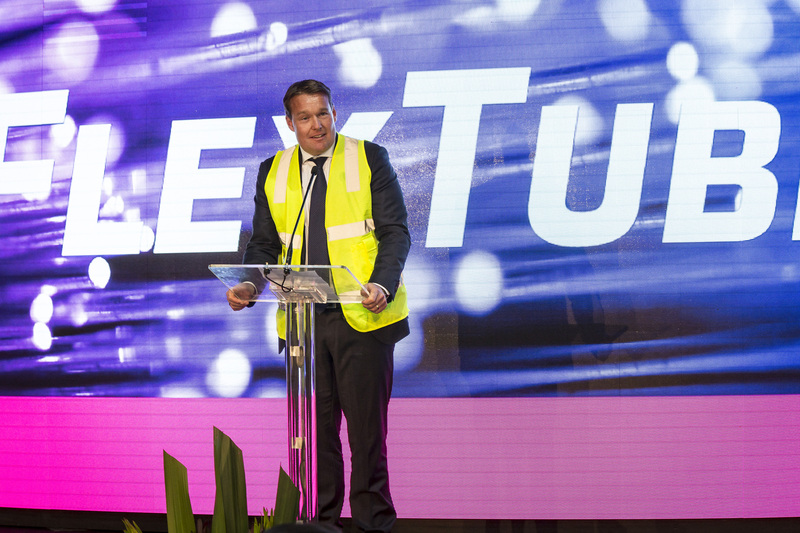 Anthony Roberts MP, Minister for Industry, Resources and Energy and the Hon. 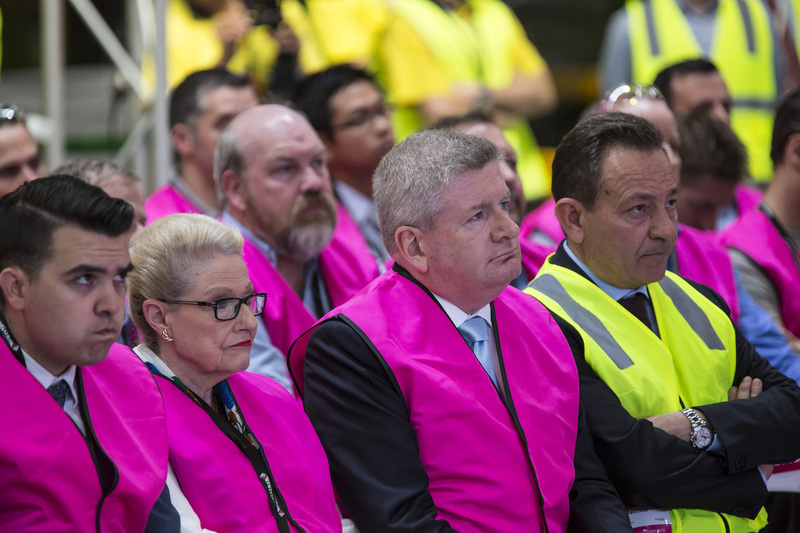 Bronwyn Bishop, Federal Member for Mackellar. 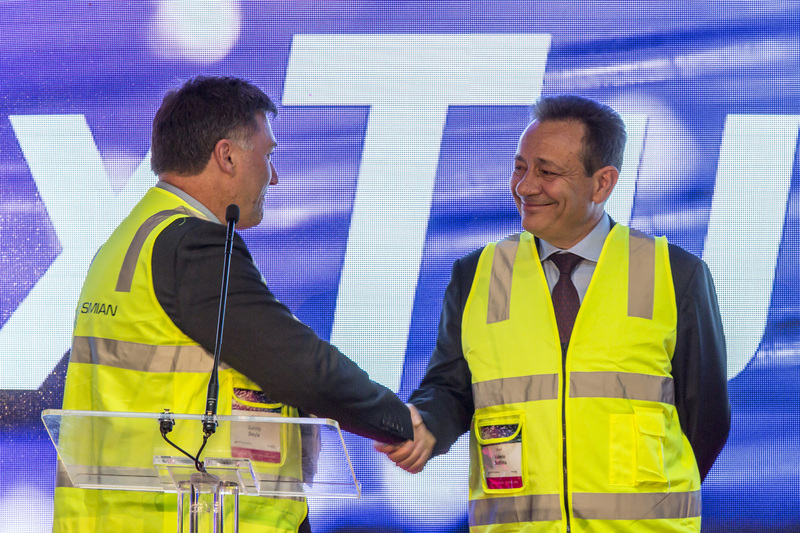 On the Prysmian Group side we were proud to have Mr. Philippe Vanhill, Prysmian Group Senior Vice President, Telecom and our Group CEO, Mr. Valerio Battista. 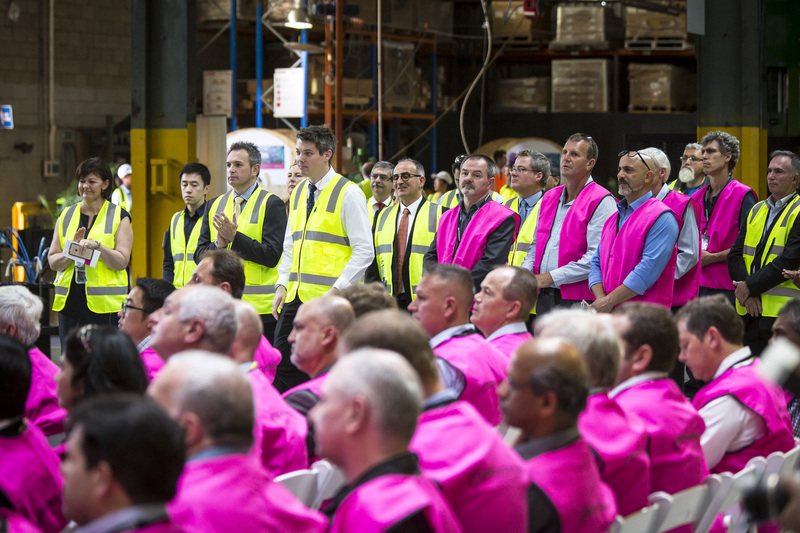 During the launch, customers and representatives were invited to participate in a variety of activities ranging from a factory tour, product demonstration and an interactive product display. 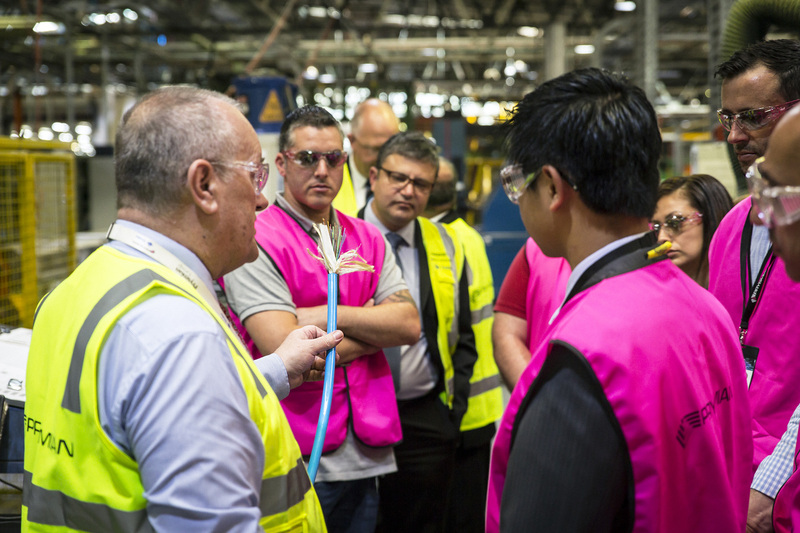 The factory tour gave participants an opportunity to go behind the scenes of cable making. 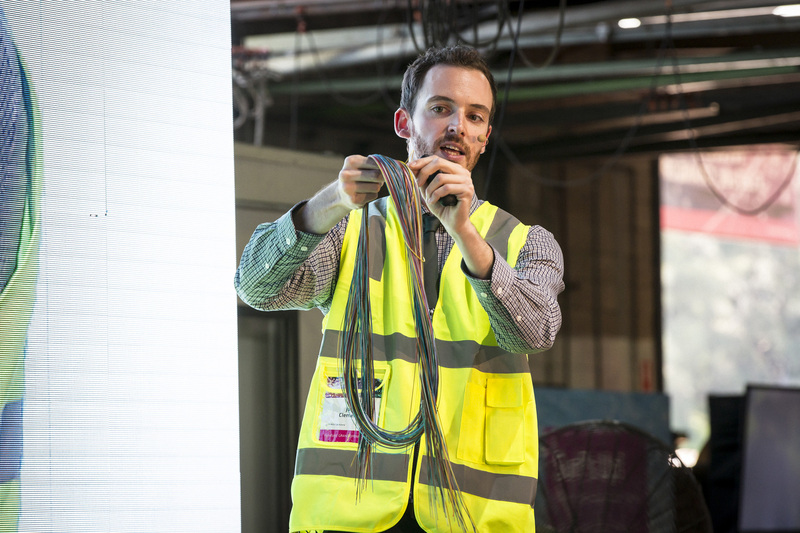 Our technical experts guided people through the main production processes in FlexTube manufacturing: Buffering, Stranding and Sheathing. 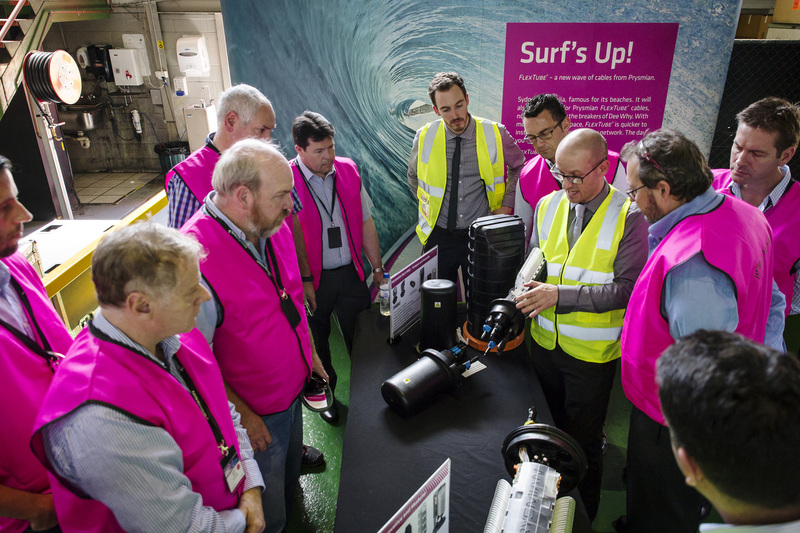 To conclude the tour, customers witnessed the quality inspections and the cable testing that are routinely completed in Final Test. 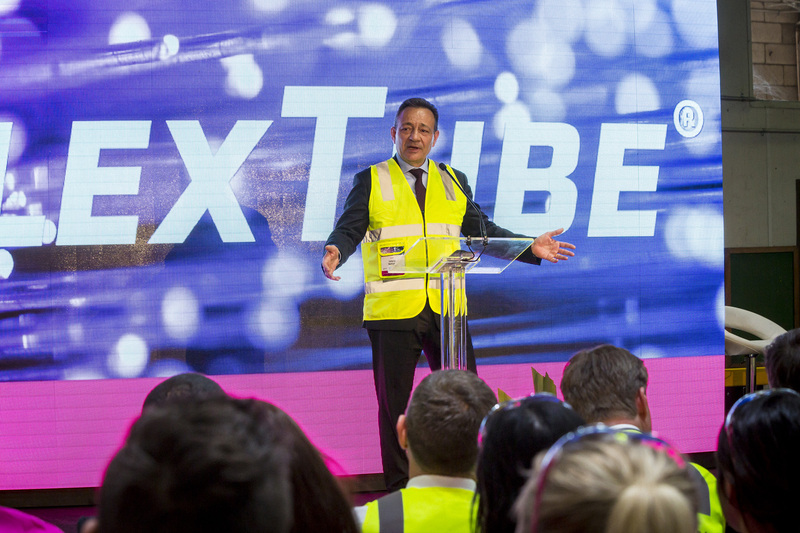 On the main stage our Sales Engineers and product experts held information sessions on the FlexTube range and gave customers a close-up look at the inner workings of a joint (LMJ, MMJ & CMJ) to the impressive backdrop of a giant four and half metre LED screen. The interactive product display also allowed the customers to touch and feel all FlexTube features. 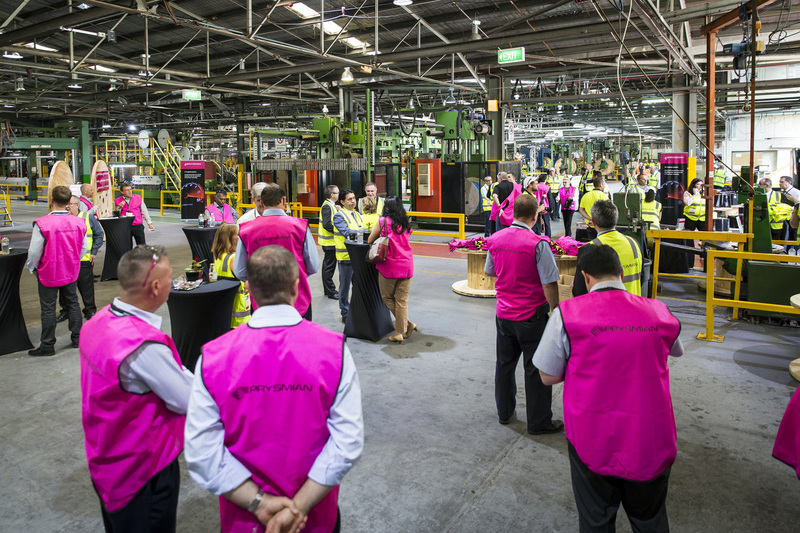 Prysmian Key Account Manager, Alice Codenotti, who was also there to personally guide visitors during the tour, explains, ‘Prysmian continues to push the boundaries in terms of Telecom solutions. 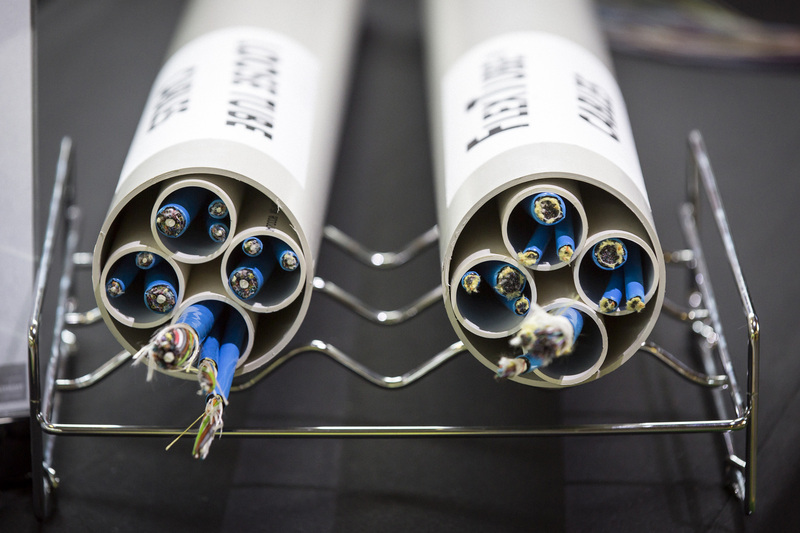 We respond to market demand through innovation and currently the market is demanding higher capacity cables. 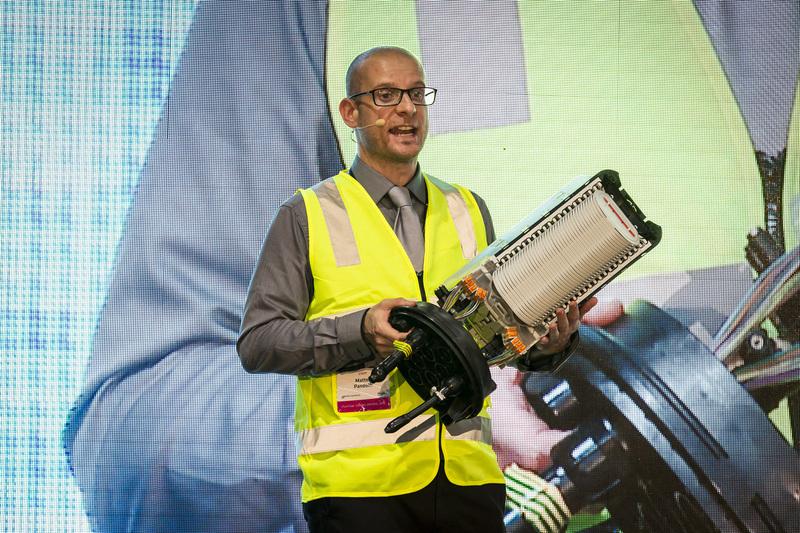 It’s not just about offering new innovative cable designs but offering a complete network solution including jointing and connectivity products’. 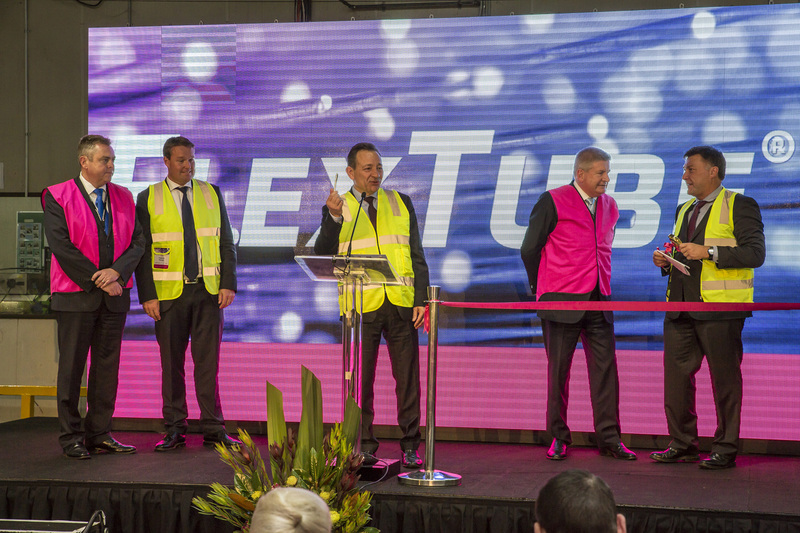 The decision to install FlexTube production capability in our Dee Why plant was made in early 2015 in order to ‘be consistent with Prysmian ANZ’s philosophy of maximising value by manufacturing locally, to respond to growing market demands and to increase our ability to quickly respond to our customers’ added Prysmian’s Danny Doyle, Commercial Manager for Telecom. 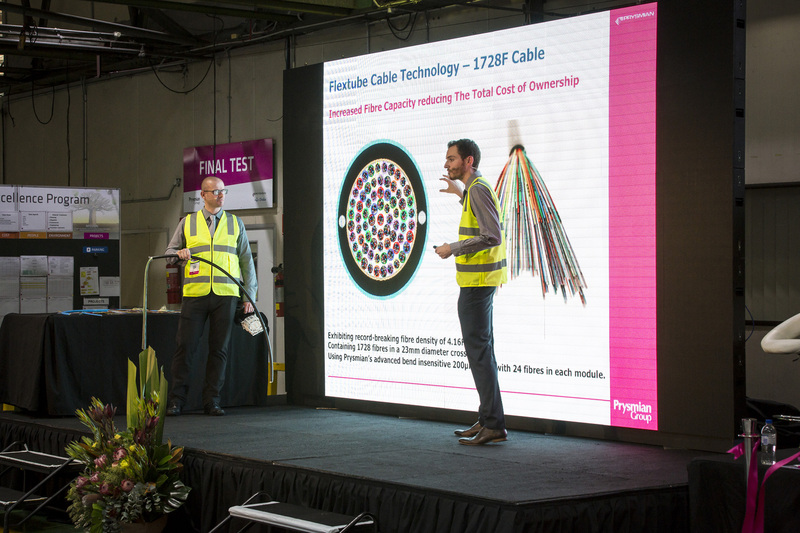 FlexTube, Prysmian’s latest fibre optic cable technology, significantly lowers per-fibre installation costs, enables faster network construction and increases utilisation of underground infrastructure. 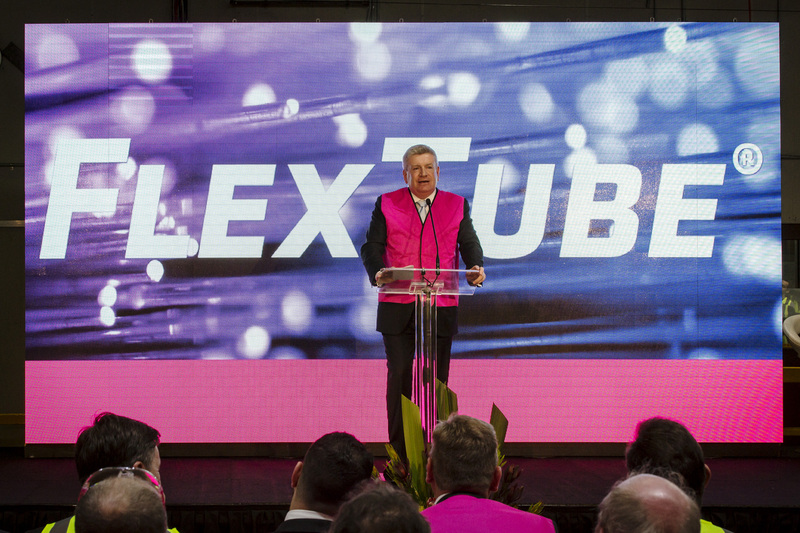 Prysmian Australia & New Zealand CEO, Frederick Persson, says he ‘expects FlexTube to become the stranded optical cable of choice in the Australian telecom industry within the next 3 years’ and that the innovative cabling would transform the face of Australasia’s telecommunication networks. 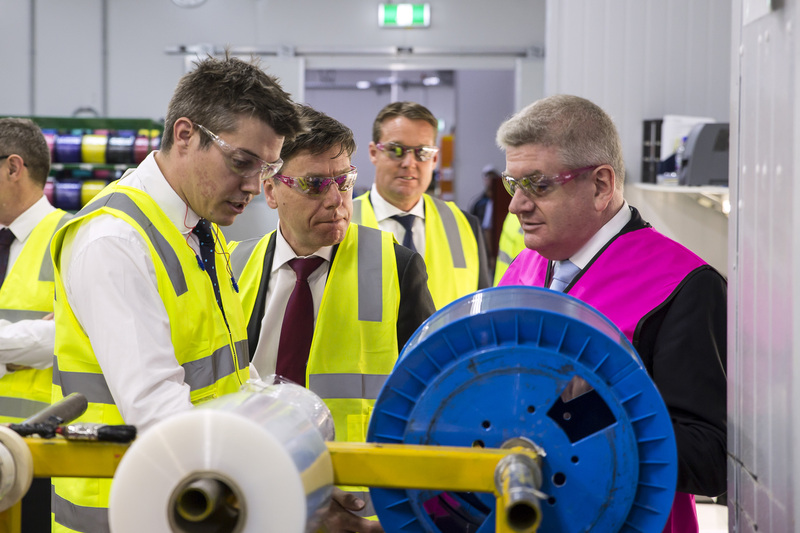 From the left: Mr. Frederick Persson – Prysmian Australia & New Zealand CEO, Mr. Valerio Battista – CEO Prysmian Group, Senator the Hon. 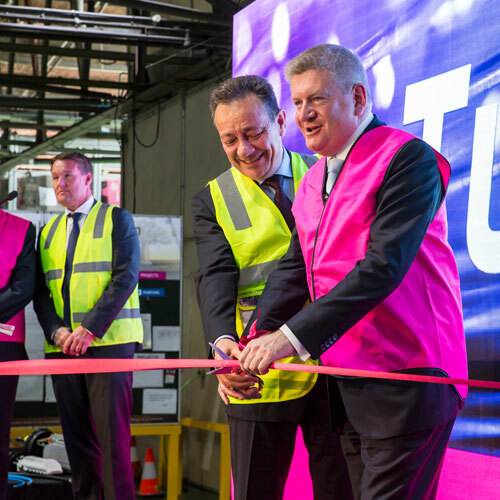 Mitch Fifield – Minister for Communications, Minister for Arts, the Hon. 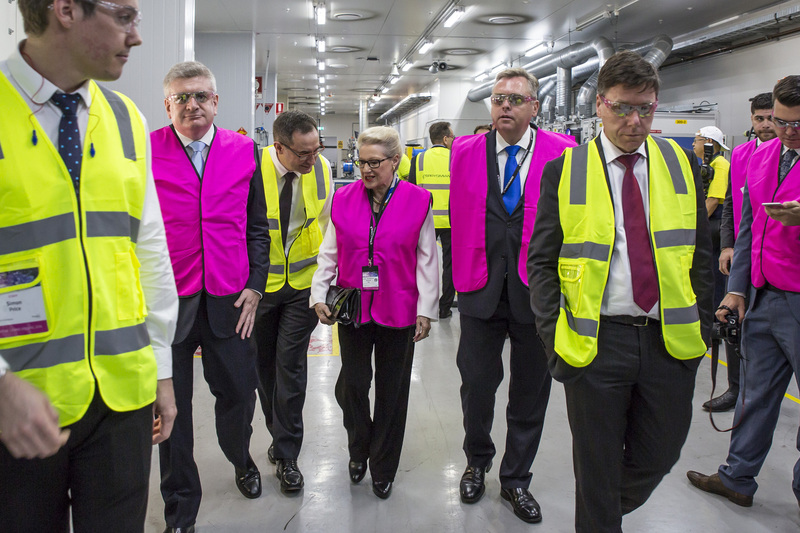 Bronwyn Bishop – Federal Member for Mackellar, the Hon. 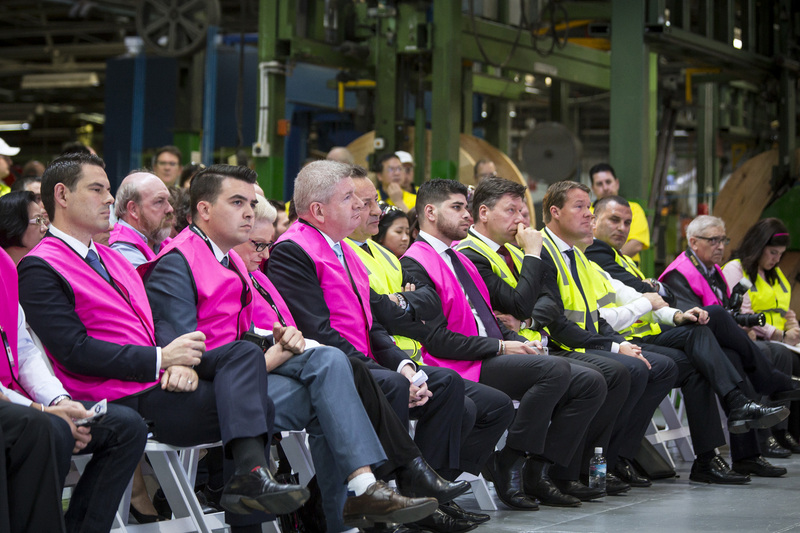 Anthony Roberts – Minister for Industry, Resources and Energy, Mr. Philippe Vanhill – Prysmian Group Senior Vice President – Telecom, Mr. Simon Price – Prysmian Australia & New Zealand Operations Director – Telecom. 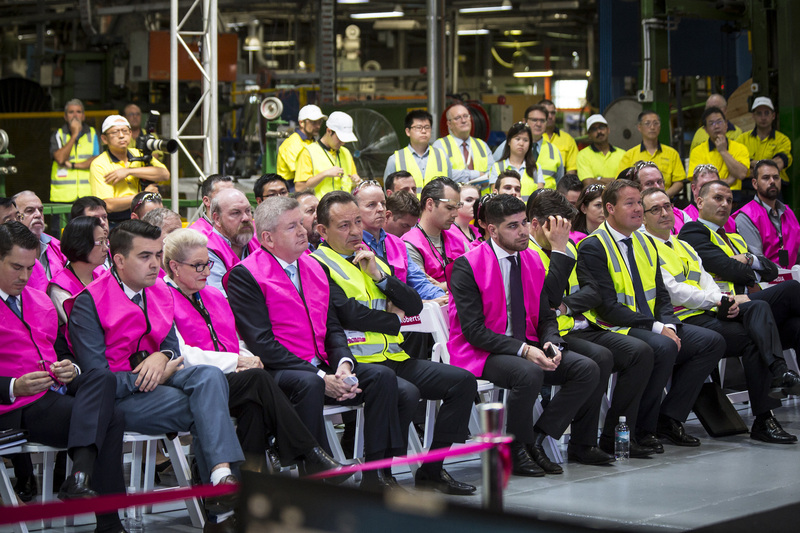 Customers and Prysmian staff during the opening ceremony. Customers and product engineers discuss our solutions on display. 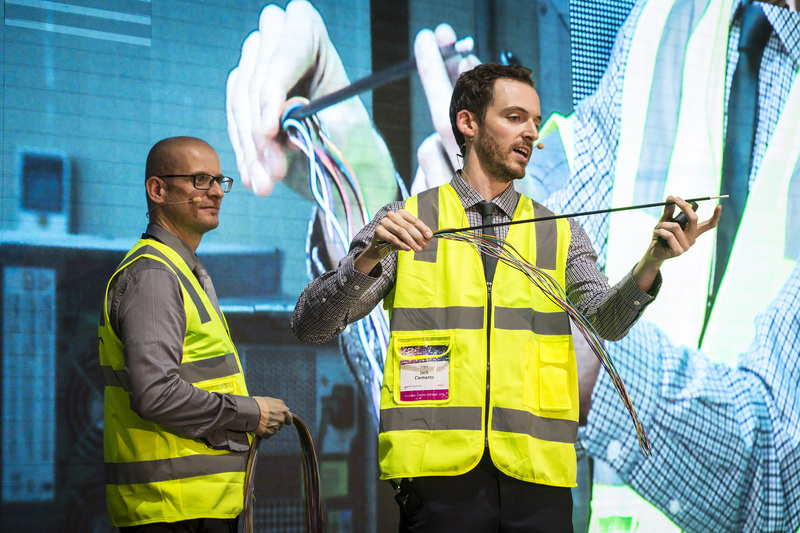 Sale Engineers Matteo Pandolfi and Jack Clements on stage present the FlexTube range and joints.